If you are looking to buy new Subaru Outback, Forester or Crosstrek, this is the best time to get one. See what incentives Subaru is offering buyers now. The best time to buy a new Subaru Outback, Forester and Crosstrek is right now. Subaru Corp. has had to increase incentives to buyers due to increased competition in the SUV and crossover segment. According to a report from Automotive News, Subaru is spending more to move their popular all-wheel-drive models, and they may have to give even higher incentives to customers. The report says, Subaru’s per-vehicle spiffs averaged $2,000 in the fiscal year that ended March 31, up $550 over the previous year. Toshiaki Okada, corporate executive vice president, says incentives to buyers should climb to $2,200 in the current fiscal year. ”We plan to raise the incentive on concerns that the U.S. interest rate will rise," he said. Subaru just revealed their new fifth-generation 2019 Subaru Forester that will make its dealer launch later this year. The all-new 2019 Subaru Ascent is set to launch this summer as the brand enters the large crossover segment for the first time. Subaru is also introducing their first-ever 2019 Crosstrek plug-in hybrid electric vehicle later this year. These new models should help Subaru keep up their sales pace and help them reach their 10th straight year of record sales in the US. 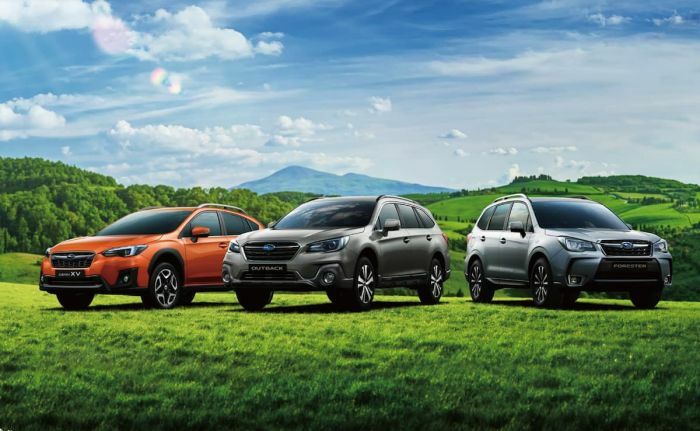 For consumers looking to buy a new 2018 Subaru Outback wagon, new Forester SUV or Crosstrek crossover, now is the best time as Subaru is giving consumers even more incentives to buy. Without the turbo who cares about the new Forester?